With less than two months to go before this year is over, Israeli government officials are expressing confidence that 2010 will go down as a record breaking year for tourism to the Holy Land. 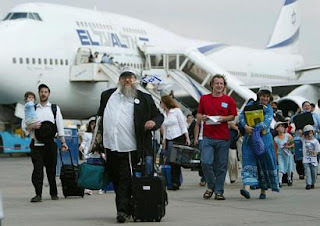 By the end of October, some two and half million tourists had visited Israel. Tourism officials say that is about thirty percent more than in the same period last year, and ten percent more than in 2008. Officials are expressing renewed optimism that the overall numbers may top three million visitors for the first time ever. Israel was nearing that record number in the millennial year 2000 before the Palestinian Al Aksa terrorism conflict began in late September, with most foreign tours quickly canceling scheduled visits for the rest of that historic year. The Tourism Ministry says that when this year comes to a close, it will have spent around 20 million dollars to market the Holy Land around the world. Along with traditional markets in the US and Europe, increasing amounts are being earmarked for emerging tourism pools in Brazil, Poland, and South Korea.